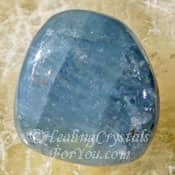 Blue Sapphire crystals may trigger lucid dreaming, and have an excellent energy within the throat chakra to aid your communication ability, including enhancing psychic communication. By stimulating the brain they enhance learning, and as they resonate within both the throat and third eye chakras, are of value to use if you are working on developing psychic gifts. 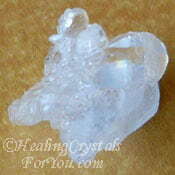 They have helpful metaphysical properties as their energy may activate the birth of psychic visions as well as ESP. 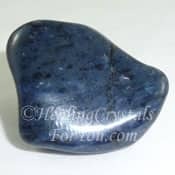 These blue stones may help to release blockages, which may support healing of difficulties that may have emanated from problems in past lives. 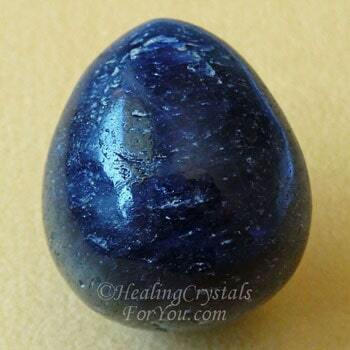 Blue Sapphire is a fairly common stone that is found in a number of locations, including in Kenya, Czech Republic, India, Thailand, Myanmar, Brazil, Sri Lanka, Africa, Madagascar, Canada and Australia. Sapphires are a type of corundum, and the Blue variety of corundum may be found in combination with other colors, including with red corundum, which is known as Ruby. The name Sapphire has been in use for a long time, and is believed to relate to the Sanskrit word meaning "Dear to the planet Saturn". 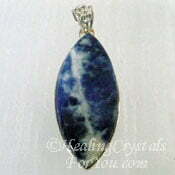 The top quality stones make lovely Blue Sapphire gemstones used in the jewelry trade. 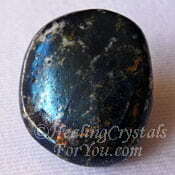 It is well known as a vedic healing stone, and was traditionally worn as a talisman to frighten away evil spirits. 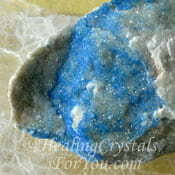 These crystals come in a number of shades of Blue, including deep indigo blue and royal blue. 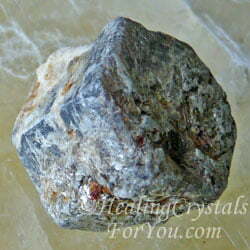 The color depends on how much of the minerals iron and titanium an individual stone contains. They occur as lovely prismatic crystals, as well as hexagonal crystals with some having a quite obvious record keeper showing on the stones. 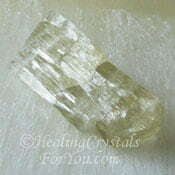 They are said to be the second hardest natural mineral. 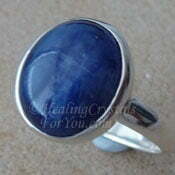 As mentioned above Sapphires are a type of corundum, and you can find various colors of sapphire intermixed. 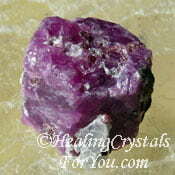 Although Rubies are also a type of sapphire, it is not usual to call them red sapphire. 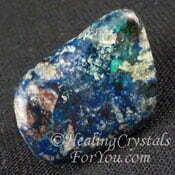 You will find sapphire stone that has blue, orange or yellow sapphire along with the red Ruby. 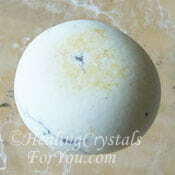 Use them to kindle the birth of new psychic gifts, such as ESP and clairvoyance or psychic visions. Once you have used them to activate the birth of new psychic abilities, you may find that you may be enabled to speak more fluently to others about your experiences in the higher realms. If you wish to stimulate lucid dreaming, keep a piece under the pillow. 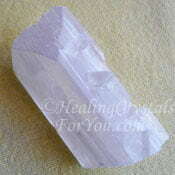 They also have a soothing energy that may also help you to settle into sleep more easily. 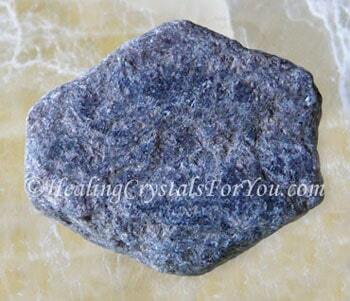 Buy Sapphire from Exquisite Crystals, my most trusted source for buying crystals. 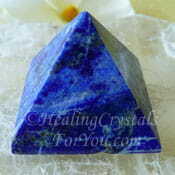 These blue crystals embody the energy of the blue ray, which is known to be highly stimulating to both the throat chakra and the third eye chakra. Their vibration may assist you to communicate more competently and to speak your truth when required, as well as helping with the emergence of potential inner visionary gifts. 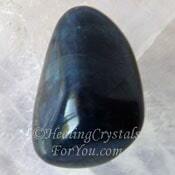 These blue stones generally assist your communication ability as well as helping to stimulate any untapped psychic communication gifts and will help to align the throat chakra with the third eye. 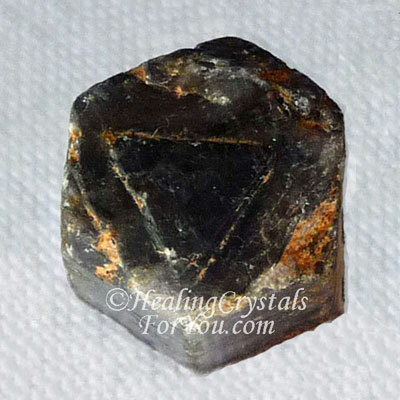 Part of the reason they work so well to trigger the birth of psychic gifts is because they have a strong stimulating action within the third eye chakra. 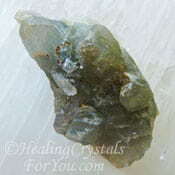 These stones have a good healing action within the throat chakra and are particularly known to help thyroid problems. They assist the glandular system generally and may calm overactive body functions when required. 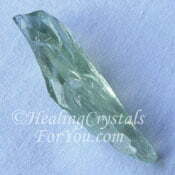 They are said to aid the healing of the eyes and to help with uncontrolled bleeding. 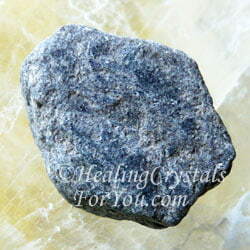 These blue stones may aid conditions related to the brain including dyslexia. 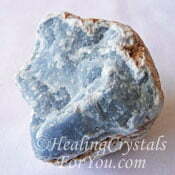 They also have a strong energy to aid emotional healing and may assist with learning. 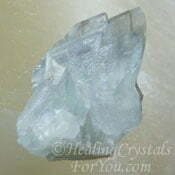 They have a calming energy that stimulates serene feelings, bringing peace of mind and helping to relieve stress. They have a good action to lessen depression and are said to be beneficial to use to treat certain types of mental illness. 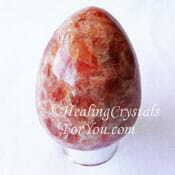 They are good stones for crystal healers to use to create a focus when you wish to assist the client with a specific problem. 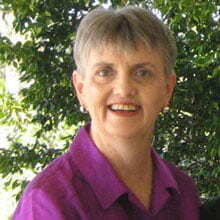 They are known to be helpful for anyone with emotionally based issues that are causing distress in relationships. 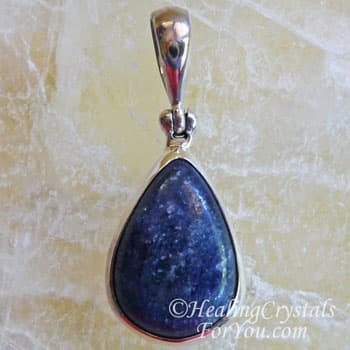 These blue stones have been in use as birthstones since ancient times, so it is found on the birthstones chart, listed by month as it is a September birthstone. In the past it was said to have been worn as a protective talisman, and was worn to assist with legal matters and to prevent imprisonment. 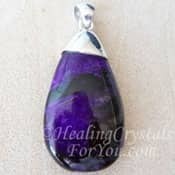 It may benefit you to wear one of these zodiac birthstones on your body, particularly if you wish to use the energy to aid you to develop your psychic abilities. Keeping one of them on your body may boost ESP and clairvoyant ability or psychic visions. You may find jewelry made from what is known as gem quality stone, and you may find lovely Blue Sapphire jewelry available. 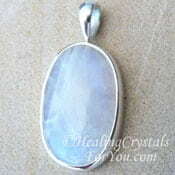 It is both a Gemini birthstone and a Virgo birthstone so it is commonly sold as birthstone jewelry. 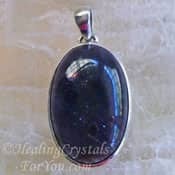 Lovely pendants are made from these gemstones, but you can find less expensive pieces made from good quality Blue Sapphire stone, like the one in the picture. 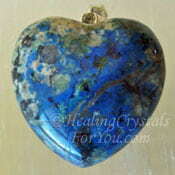 Both types will have a good energy to use for metaphysical purposes. 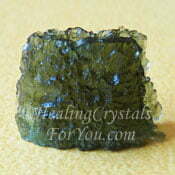 Wearing it may also be beneficial to attract prosperity as it is said to elicit gifts of various sorts. Work with them in rebirthing rites and ceremonies specifically arranged to make a psychic connection with those who you had important past life connections with. 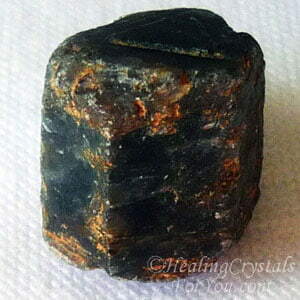 Using a Blue Sapphire recordkeeper may be particularly helpful as they are known to embody ancient information relating to past lives, that may be waiting for you to release. 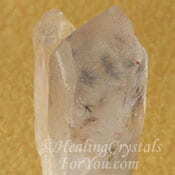 These crystals has been traditionally known as Vedic healing stones, and were known to stimulate the wise woman within. One of the other interesting attributes that they embody is the ability to assist you to heal problems that may derive from issues stemming from past life situations. 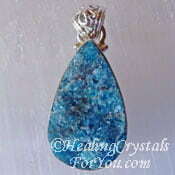 They may help you to release negativity and their vibration is known to soothe the mind. 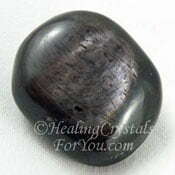 Using this stone may be beneficial to help you to let go of the karma that may be connected with these lives. By calming internal dialogue that is not serving you they may alleviate anxiety. Their peaceful energy may make it easier to settle into meditation. 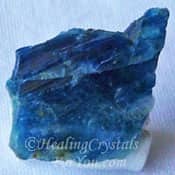 These blue crystals can help you to release any displeasing thoughts that are intruding, and this may assist your ability to get into the relaxed state needed to receive communication from a higher source. 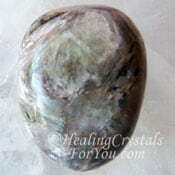 This may be especially of value if you are working on developing psychic gifts during your daily meditation. "There are only two mistakes one can make along the road to truth. Not going all the way and not starting." Buddha. 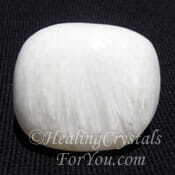 If you wish to use its energy to assist you with you with developing psychic visions, also known as clairvoyant ability, use it with other stones that are especially known to help you with magnifying psychic visions. Stones that may combine well with these blue stones includes Rainbow Moonstone, Prasiolite, Turquoise, Pietersite, Lapis Lazuli, Celestite, Hypersthene, Datolite, Hollandite Quartz, Beryllonite or Heliodor. 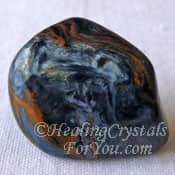 These are good stones to use to assist development of lucid dreaming, and their energy may be strengthened by using them with other stones that help you to lucid dream. 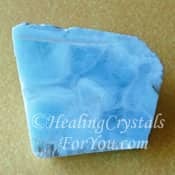 Stones such as Angelite, Ruby, Kyanite, Ruby in Kyanite, Dream Quartz, Diaspore, Covellite, Scolecite, Lazurite and Danburite are all helpful stones to stimulate lucid dreaming. 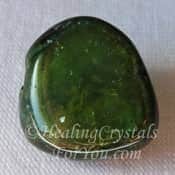 To aid you to let go of negativity in your life, you may like to combine it with Tinaksite or some of the other stones that assist you to let go of negativity. 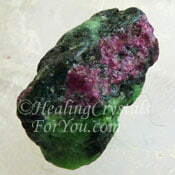 Stones such as Green Tourmaline, Lepidocrocite, Citrine, Apache Tears, Ruby, Amber or Anyolite may also be helpful for this purpose. 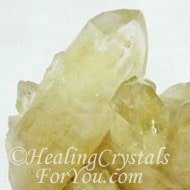 If you have been working to strengthen your psychic communication abilities, you may choose to combine it with other strong stones that stimulate psychic gifts. There are a large number of stones that you could choose, including Sodalite, Blue Euclase, Azurite, Dumortierite and Hollandite Quartz. 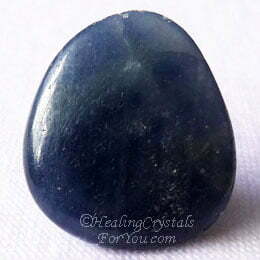 To boost your communication ability, combine it with other strong blue throat chakra stones. 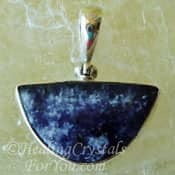 Stones such as Lapis Lazuli, Larimar, Blue Apatite, Blue Barite, Blue Scapolite, Vivianite, Celestite and the lovely purplish blue Iolite crystals are all good stones to use to boost this stones action to help your communication. 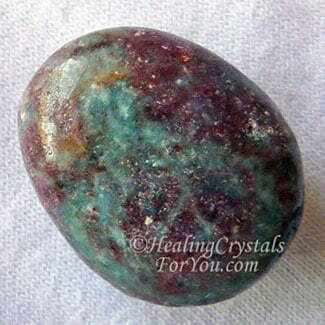 This stone embodies a good energy to help you to recognize truth, and this can be helpful in many aspects of your life. 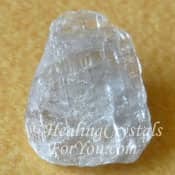 If you feel that you would particularly benefit from increasing your ability to understand when those you are speaking with are being truthful, boost this vibration by combining it with other crystals that also embody this aspect. 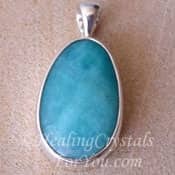 Other stones to use to stimulate the energy of truth include Amazonite, Euclase, Okenite, Moldavite, Shattuckite, Sunstone and Azurite, which also aid you to understand and recognize truth.